Vladimir Janda was born in 1928. At the age of 15, he contracted polio. He was paralyzed as a quadriplegic and unable to walk for 2 years. He eventually recovered walking function, but developed post-polio syndrome and was forced to use a walker until the end of his life in 2002. As a physician, he focused on post-polio patients early on. One of his early influences was Sister Kinney in 1947, who introduced the treatment of polio in Czechoslovakia. He served as an interpreter for Sister Kinney as a first year medical student, and decided to pursue an interest in physiotherapy after medical school. He received the “Kinney Physiotherapist” certificate after graduation from medical school. He was one of the first physicians to combine therapy and medicine in a ‘hands-on’ approach, becoming one of the earliest to practice physical medicine and rehabilitation. He became more interested in pain syndromes of the locomotor system. His first book in 1949 at the age of 21 was on muscle testing and function, which was the first of its kind in Czech. He continued as a prolific researcher and writer; before his death, he published over 16 books and over 200 papers on muscle function. At the age of 24, he was working in a rehabilitation center for post-polio patients. He was interested in evaluating the claims from muscle testing textbooks at the time. Using EMG, he began studying the muscle activity of the hip joint in physiotherapist students. He found muscles that weren’t supposed to be activated actually were, noting the accessory role of muscles outside of their primary movements. Specifically, he found subjects without activity in the gluteus maximus during hip extension movements used an increased pelvic tilt to accomplish the extension. This led to his lifelong passion to study movements, rather than individual muscles as was common at the time of the polio era. He recognized the importance of testing muscle function rather than strength. This was the beginning of thinking globally rather than locally in terms of muscle function. In the 1960s, Freeman and Wyke published several papers on the importance of afferent input and mechanoreceptors. They described the use of wobble boards in the treatment of chronic ankle instability. Janda noted a connection between chronic ankle instability and chronic low back pain: proprioception. This led to Janda’s development of “Sensorimotor Training”, a progressive exercise program using simple exercises and unstable surfaces. He rarely recommended strengthening exercises, instead focusing on balance and function. This was in contrast to the traditional rehabilitation approach in the 60’s and 70’s emphasizing strength training. Janda completed his thesis in 1964 on patients with sacroiliac dysfunction, finding weakness and inhibition of the gluteus maximus, even in the absence of pain. He recognized that certain other muscles were prone to weakness. Janda subsequently defined movement patterns to estimate the quality of movement. He discovered that muscle imbalance was systematic, predictable, and involved the entire body. His colleague and lifelong friend, Karel Lewit MD, who practiced with Janda in Prague for many years and shared his expertise on manual therapy and the locomotor system. 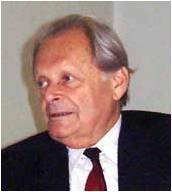 Vaclav Vojta MD, a Czech physician who described the influence of developmental kinesiology in human movement and pathology. Alois Brugger MD, A Swiss neurologist who described the neurologic basis muscle imbalance. Florence Kendall PT, who first influenced Janda on the concept of muscle imbalances. Janda was an avid reader and collector of books and papers on muscles. His ability to fluently speak as many as 5 different languages gave him the ability to read and learn more from all over the world. 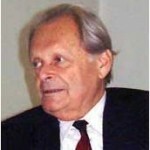 His international influence continued to spread as a consultant to the World Health Organization in the 1960s and 70s.